I had only guessed six of the longlist, which isn’t my best ever BUT that is never a bad thing, one of the things I always love about a longlist is having books I own bumped up the TBR or finding new to me books, in this case the Li, Luiselli and McFadden. I have also read six of the books; Braithwaite, Burns, Emezi, Miller, Moss (which I thought might be too short to be on the list but I am thrilled is) and Rooney – all of which I will be reviewing on the blog soon. Promise. Now then, I am going to be reading the longlist as I have for the last few years and I did mention a special guest… This year I am going to be reading the shortlist (and hopefully the longlist as she might have got a little head start) with my Mum, who I will be making videos and all sorts with. We are very excited. I am also very excited to read the rest of the list. I talk about them in a little more detail on my channel here. What are your thoughts on the list and will you be reading any or all of them? Which have you read already and what did you make of them? Let me know ALL your thoughts! So I have been an absolute tinker and let the second half of the year whizz by and get much busier than I meant to. I didn’t even post about doing Cheltenham Literature Festival last week on here which is very shameful of me. I swear I should change the blog to Savidge Apologises. Anyway, at Cheltenham I was talking about how much I have been missing blogging and how now things are winding down before Christmas (yes I mentioned the C word, sorry) I wanted to get back to it. So sat in my hotel with a bit of time to kill I thought ‘let’s make today the day’ and today is a particularly bookish day as it is the announcement of the winner of the Man Booker 2018 and I am going to be there… and on the telly ‘live’ talking about the shortlist on BBC News 24 and BBC World with the lovely Natalie Haynes and host Rebecca Jones. I know. Imagine. If you would like to watch it from 9.30pm UK time you can on the BBC News 24 channel or BBC World channel, here and/or here. I have been reading the books over the last few weeks since I came back from San Francisco, we have so much to catch up on, and have lots and lots of things to say. So much so that it won’t fit into the BBC show and so my next few reviews will be of the six shortlisted books. 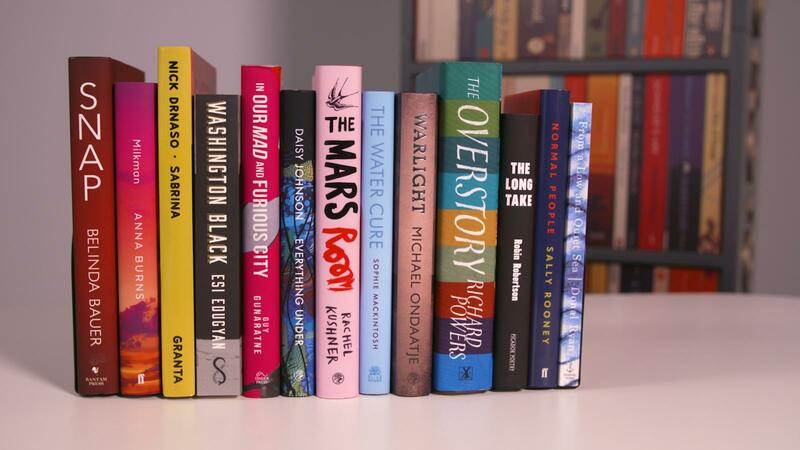 It is fair to say I have feelings about lots of them, the good, the bad but definitely not indifferent, which I think makes it an interesting shortlist. So fingers crossed tomorrow my thoughts on the winner will go up. I have no idea who will win, the opinion is really divided all over social media, I do have a personal favourite. But you will have to watch the BBC show to see which one it is. Okay, so I haven’t always been consistent in blogging (especially in more recent years) however what I hope has been consistent over the last decade-and-a-year (which sounds so long) is my love of books, reading and the sharing of the love of both and chatting to you all about them on various mediums. So a huge, huge, HUGE thanks to all of you who’ve followed this blog, be it way back at the beginning or those of you who have joined me on here since or on The Readers Podcast, Twitter, Instagram and YouTube in the years since. (Gosh, have I bored you all silly for all that time? Oops.) This blog and books have changed my life in lots of ways and brought me lots of amazing friends and experiences which have meant the world. So ta very much. Aren’t books just the best? One of the best discoveries of my time blogging has to be the fiction of Carys Davies. 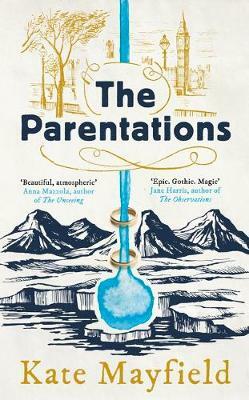 I first read her short story collection The Redemption of Galen Pike, when I was judging Fiction Uncovered back in 2015 as a submission and remember pondering if we could give it all of the prize money, it was that good. Every tale defied expectation, without the need for twists in the tale, and each had an epic scope even if it was a pages long. I then read her debut collection Some New Ambush at the start of 2016 and was blown away once more. 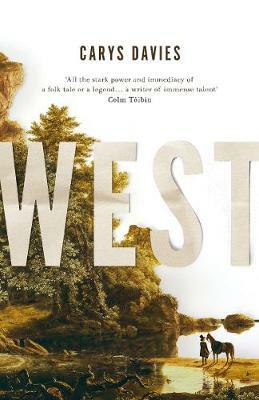 So I was very, very, very excited when I heard that she had written her first novel, West, though of course instantly got nervous as to whether I would love it or not. I finally turned to it earlier this month and once again fell helplessly in love with Davies’ writing. “Look you long and hard, Bess, at the departing figure of your father,” said her aunt Julie from the porch in a loud voice like a proclamation. So says Bess’ aunt Julia as Cy Bellman leaves his family home in Pennsylvania in search of the ‘mammoth beasts’ whose remains have been found ‘in the West’. The discovery or even capture of these beasts Cy believes will be the making of his name and, much more importantly to him, improve the life of himself and his daughter who he is heartbroken to leave behind. Many think him mad for going on such a journey that will certainly involve many dangers, in fact many people believe he will not make it back again. Yet go he does, leaving his daughter Bess behind in the safe care of his sister, yet what he hasn’t thought of is that there may be as many dangers to Bess back home as there could be if he had taken her. It is at this early stage that the novel splits in to the two stories of Bellman and his daughter as time moves forward. We follow Cy as he heads out on a journey that could lead him anywhere, through small towns, where in one he hires the help of a young native Shawnee boy called Old Woman From A Distance to help him journey further with added knowledge of the perils that might lie in store. 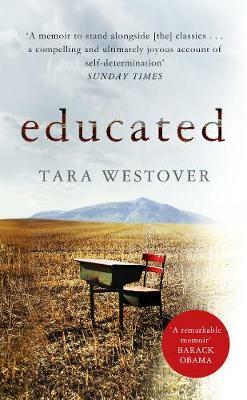 Back in Pennsylvania, while her aunt reminds her regularly that she is probably now an orphan, Bess has to deal with the arduous danger or a young farmhand and an older librarian both who have their sights set on her and not necessarily for marriage. I found this nod to the fact men must go and seek out danger far and wide whereas danger will seek women out closer to home both a brilliant analogy of both the 1800’s when the book is set and also still as prevalent right now rather poignant. I won’t give anything more about the book away, I will say though that the sense of dread and the brooding atmosphere for both Bess and Cy as the book goes on pulses through every line to its unforgettable conclusion. Not a word is wasted as Davies takes us over hundreds of miles trekking through vast expanses with Cy or hundreds of days back home working out the way society and the world works for Bess. It is a mini epic in its truest form. What adds to its epic nature all the more is the interweaving of both huge topics of the time and mini stories that might take a mere sentence or two, or a paragraph at the maximum. The early 1800’s were a turbulent time in the US with Native American’s being displaced and plundering of their lands and indeed there people. This is never explicitly discussed or shown, the tension between Cy and Old Woman From A Distance says it all as their power struggle develops with no common language, just common ground which both are trying to gain ownership of over the other. Back in Pennsylvania as we meet some of Bess’ fellow townsfolk we discover stories of love that almost was and innocent seeming folk with much darker hearts. West once again showed me why I love Carys Davies writing so much. Within her vast landscapes Davies also creates mini worlds which is the power of all her prose and storytelling. In fact let’s call it story weaving, because it does feel like it has been so intricately woven together. Yet there is no mucking about with never ending floral prose, it is beautifully crafted short and sweet sentences that condense what would take some authors a chapter potentially. She also has the power to make you darkly chuckle before having your heart broken. It is for all these reasons that I would highly recommend you read West and get lost for a few hours in some of the most wonderful writing, then head straight to Davies’ short stories if you haven’t already. I have been wracking my brain to work out if I have ever done a post mid-year about the books I have loved so far that year? I think it is only something that I have done since Booktube, but I could be wrong. I know I have done books that I am excited in the second half of the year, but I don’t think that I have done favourite books so far. Anyway, I could debate that for hours it seems and you don’t need that in your life. What you might need, or maybe like, in your life is (as part of us catching up) is to know what my books are so far this year and, possibly even better, win some of them. How can this magic happen? Well, I shall insert the video of my favourites books of 2018 so far below and you can watch and then comment as instructed to potentially win a package of some of them. A brief post I know, but thought it would be a good chance for a catch up AND a chance for you to win some lovely books. Hurray. You have until the end of July. Good luck!